This pull-on skirt by Allen Allen is a stretchy knit material. It is very lightly fitted. 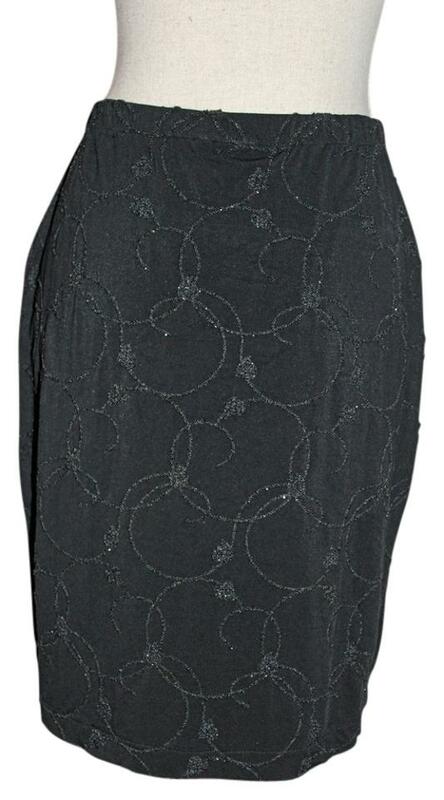 This skirt is 92% acetate and 8% lycra. This skirt is 20.5" long. The black seed beads are flat black, but there is a random sparkle that adds a little bling. 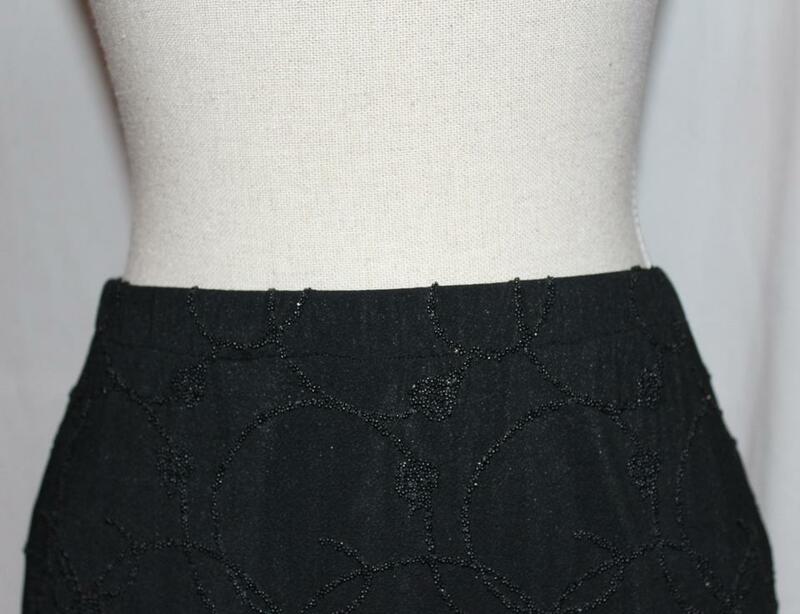 This skirt is easily dressed up or down. My favorite pairing was a simple black tee with flat black sandals. 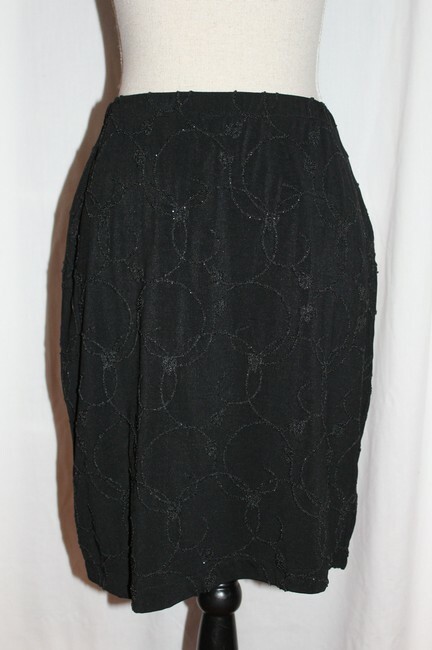 This skirt is a size medium and fits true to size.